Howdy, I’m Brian and I’d like to welcome you to Paint Smoothly, where you can find all manner of information about buying, using, and caring for paint sprayers. I created this site after my brother Philip and I decided to do some renovations on our parent’s house, including giving it a long overdue paint job. He wanted to stick to the traditional brushes and rollers, but I knew that it would take way too long and be far too difficult. Paint sprayers were the only clear option. Well, it didn’t take me long to realize that there was a lot I needed to learn about paint sprayers to make sure I got the right tool for the job. And learn is what I did. It was actually quite difficult to make sense of all the confusing and scary information out there. That’s why I put everything I found out together in this site, because I wanted to help anyone else who is in the same situation as we were. 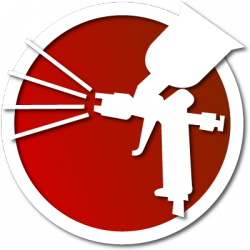 You can find short reviews of the best paint sprayers I discovered, buying guides, articles explaining paint safety and sprayer care, and more. There are also some in-depth reviews of some truly fantastic models that might just be the best of the best. Here’s to many fantastic paint jobs in your future! Many links on paintsmoothly.com are affiliate advertisement links. This means that a specific tracking code is embedded in the link and that I will make a small profit if you purchase through any of such links. The price of the product is always exactly the same for you if it is an affiliate link or not, and affiliate links help me to pay for this site and support my family. The webmasters’ view about a product or service might be formed in part on the fact that the owner is likely to get compensation for the product or service. The nature of the relationship is sufficient to establish a financial relation between the webmaster and the vendor. There will be instances where the owner won’t receive commissions associated to the products or services on this website. You should always assume that the webmaster has a material relationship with the product suppliers, because the owner has has received or will probably receive something of financial worth from the supplier. You should always undertake your own searches before shopping for a service or product included on this site. Where extracts have been displayed from other comments, forum posts, or other user feedback, these are in no way to be seen as any kind of verifiable results. All site visitors are cautioned to conduct their own due diligence prior to making a purchase shown on this site. Our intention is to be totally sincere all of the time. If however you find anything listed on this site, which you do not really believe, then please email us promptly and we’ll check it. We maintain the right to withdraw the display of any service or product that does not live up to our high levels of satisfaction immediately. Honesty and integrity is essential to us all of the time. The builders of this website will often recommend services and products based on a good faith belief that such items will help the person obtaining it. The owner has good faith belief, because he/she has either ed the products before making any suggestions, or the owners have researched the services or products based on the dealer’s background. The suggestions for the services or products are honest feelings based on pieces of information known to the owner at the time a product or service is pointed out on the website. The owner of this site has conducted everything possible to check the feedback that appears on this website. They’re treated as average user satisfaction according to the details available at the time of publishing them. Investigations were made to validate their authenticity each time. If a claim sounds not true then the owners regard this like that and don’t submit it on the site.